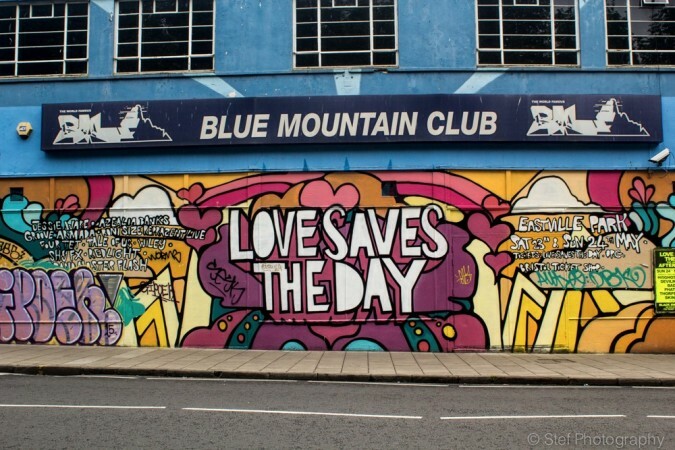 Bristol’s fiesta of electronic music lands this Bank Holiday weekend with Love Saves The Day at Eastville Park – so for our first ‘Saturday Snapshot’ check out the LSTD graffiti outside the city’s Blue Mountain Club. With well over a hundred top artists scheduled to play over the two day festival, it’s going to be big! Tagged love saves the day, saturday snapshot, stef photography. Bookmark the permalink.